Let’s face it: no one likes to think about bad things happening to them, much less plan for them. We want to give you a quick “brush-up” on some simple things you can (and should!) be doing to protect your business. Review Your Business Insurance Carefully. Most businesses carry some type of general liability insurance that would pay them if their building and the things in it were damaged. However, many businesses do not have enough coverage to replace all the computer equipment and devices, desks, art, supplies and other things they’ve accumulated over the years that are housed in their office. Make sure you review your policy every year and keep in mind new additions and assets you’ve accumulated during that year. Consider Cloud Computing. One of the biggest advantages of cloud computing is that your data and assets are stored off-site in a highly secure, high-availability data center, with failover and redundancy built in. That means that if your building were destroyed and you had to evacuate, or if your server melted down due to an unexpected hardware failure, everything you’ve worked so hard to create over the years is safe and not a sitting duck in your unsecured closet or server room. Secure Your Data. Making sure that your data is protected from theft is a never-ending battle you don’t want to lose. Companies that get hacked and expose sensitive client and employee data can face severe penalties, lawsuits and massive loss of credibility in the marketplace. Make sure you never have to send an e-mail to your customers explaining the bad news that a hacker accessed their info through you. Further, if you keep any sensitive information (even passwords to portals containing sensitive information) on portable laptops, phones and other devices, make sure you have a way of controlling and safeguarding that information. 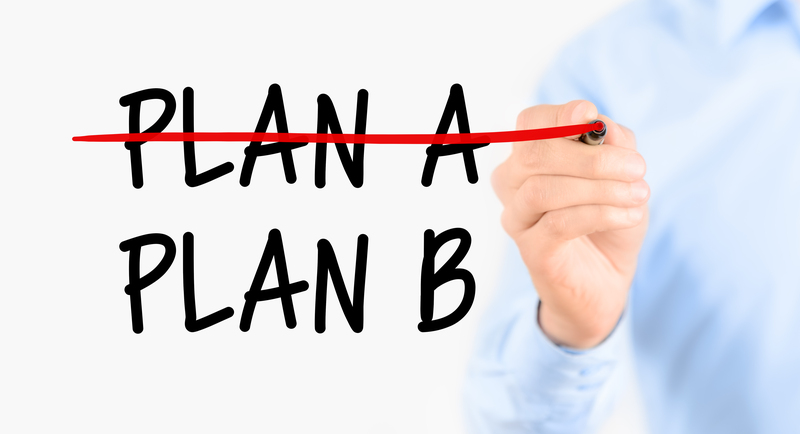 Write A Simple Disaster Recovery Plan. The key word here is “simple.” If your plan gets too complicated or difficult, you won’t do it. But at a minimum, think of the disaster that is most likely to happen and that would have a severe and negative impact on your company’s survival. Review Your Employee Internet Policy. With so many people “addicted” to Facebook and Twitter, it’s important that your employees know where the line is in what they can and can’t post online. We also recommend content-filtering software to block content and web sites you don’t want employees visiting during work hours. Call us and we’ll give you a Disaster Recovery Business Assessment for FREE (a $297 value)! Mark is Director of Consulting Services at NorthStar Technology Group. Mark holds a HCISPP (Health Care Information Security and Privacy Practitioner) certification through ISC2. He helps the NorthStar clients with their security and HIPAA compliance needs.